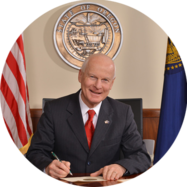 SALEM, OR — Today, Secretary of State Dennis Richardson released an audit of the Department of Revenue’s (DOR) organizational culture and customer service efforts. The audit found that the agency could improve its performance by incorporating values of a collaborative culture, including robust internal communications, an effective accountability framework, and a comprehensive feedback process. Auditors also found the agency has taken positive steps to address customer service challenges. Organizational culture is key to shaping how DOR employees interact with one another and how they achieve the agency’s mission and objectives. DOR staff and management identified a desire to shift towards a more collaborative agency culture and shared perspectives on how the culture can be enhanced to meet their needs. This shift would have a positive impact on the agency’s customer service work. Organizational culture is difficult to assess and measure, but generally includes the basic assumptions and beliefs that are shared by members of an organization. Auditors pioneered a new audit methodology to assess culture using an internationally-recognized survey tool and focus groups. As a result of this work, auditors found employees want clear communications about significant changes in their work and the agency’s vision and direction. Employees also would like more accountability among all levels; a better relationship between management and staff; a comprehensive feedback process that informs staff of the status of their submitted ideas; and respectful, professional and supportive relationships in the workplace. DOR went through major changes in the last few years, including several changes in leadership and the implementation of an essential and expansive information technology system. This audit was one of several reviews and assessments directed by the legislature. Auditors used the Organizational Culture Assessment Instrument to survey DOR employees about the agency’s current and preferred culture. This instrument has been used by 10,000 companies and non-profit organizations worldwide in order to better understand their current culture and determine how to make changes that will result in improved employee and organizational performance. Auditors supplemented the survey with 17 focus group sessions comprised of 137 employees at different levels within the agency, from line staff to executive leadership. Auditors also gathered extensive research that supported the theory behind the survey tool —that when an organization’s culture reflects the one preferred by its employees, performance is optimized in the form of quality products, customer satisfaction, reduced error rates, reduced turnover, improved employee morale, and increased employee engagement. Auditors also found a dramatic decline in DOR’s overall customer service satisfaction, from a high of 79% in 2013 to a low of 13% in 2016. Some of this decline can be attributed to agency changes and the way in which customer service satisfaction data was gathered. DOR leadership has identified other deficiencies in their customer service work and has started to make improvements. As a result of these efforts, customer satisfaction increased in 2017 and 2018 to 65% and 81% respectively. Auditors made five recommendations to DOR. These include improving DOR’s internal communications and accountability practices, completing the agency’s employee feedback process, improving the relationship between management and staff, and completing efforts already underway to address customer service challenges.